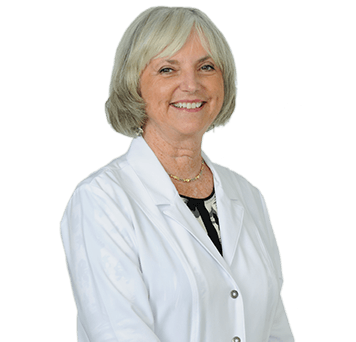 Jodie is a board-certified nurse practitioner and dermatology-certified nurse practitioner (DCNP). Prior to becoming a nurse practitioner, Jodie was a registered nurse, serving in diverse roles such as an emergency department nurse, a nursing educator, and pharmaceutical sales representative. Jodie went back to nursing school, earning a master of science in nursing from Florida Atlantic University in 1997. Her dermatology career began in 1999 after moving to Lake Wales from South Florida. Jodie values the ability to provide skin care to a variety of patient populations, and she takes the time to educate all her patients about the importance of sun protection. Jodie has also written several articles on dermatology topics that have been published in the Journal of the Dermatology Nurses’ Association. Jodie lives in Lake Wales with her husband David. Their daughter Elizabeth lives in Orlando and their son David lives in Ft. Lauderdale. Jodie enjoys gardening and is active in several community organizations in Lake Wales.